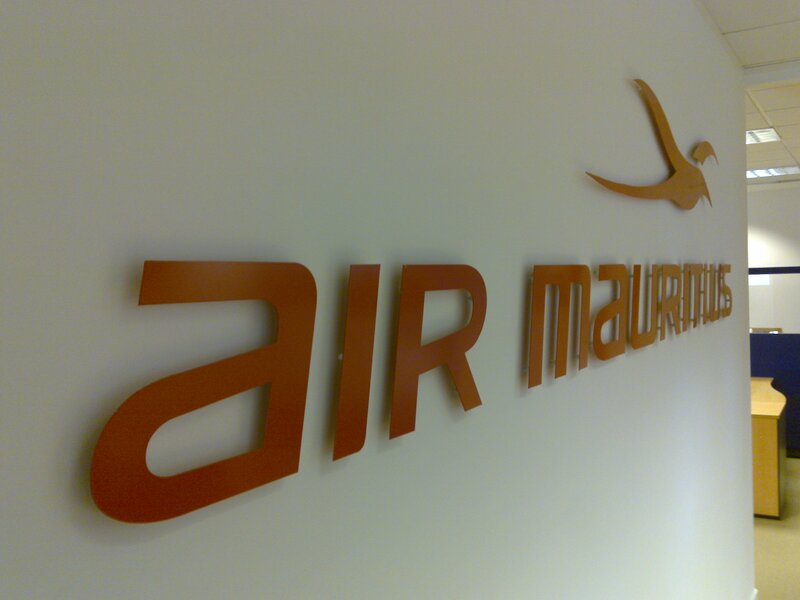 Cut-out perspex letters for airline mounted on locator fixing. Letters off-set from wall creates natural shadow adding to the aesthetic. Gloss finish.